Create your outlaw and engage in multiplayer shootouts to determine who lives, who dies, and who becomes a legend. 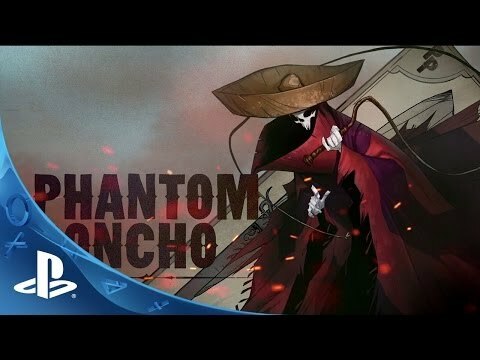 Secret Ponchos takes place in a dramatic Wild West setting, one full of tension, style and attitude. In a town crawling with bandits, murderers and bounty hunters you are an outlaw with a bounty on your head and everyone is gunning for you. It is a downloadable, competitive twin-stick shooter focused on skill-based combat and uniquely abled characters. Players create and customize their own outlaw(s) before competing in one-vs-one duels, engaging in western-style gang fights, or entering the fray with the Free-For-All mode. As reputation points are earned, outlaws abilities will be able to be upgraded as the players in-game notoriety grows. The game-play aggressively crosses genre boundaries, creating a distinctive and innovative feel. It brings together the strategic elements of overhead camera games, the team dynamics & matchmaking systems of 1st person shooters and the fast twitch responsiveness of a fighting game.